I've never really been a big lasagna eater, let alone a lasagna-maker! My sister and I, growing up in such an Italian family, oddly never really cared for ricotta cheese very much, so I guess that's why. I know, I know, shock. However, with those every-seven-year-changing taste buds, luckily, I've come into the light, and embraced ricotta and lasagna with open arms! This recipe is called the "Triple-Double" Lasagna because it's got a trio of two different things, meat and cheese. (And because I'm super clever, obviously). P.S. ---> yes, the bacon is necessary. 3 tablespoons Italian dressing, your favorite kind! 1. In a large skillet, cook the bacon until crisp (the crispiness adds another layer of texture and the smokiness adds another layer of flavor. Thanks for being so great, bacon!). Remove bacon from the pan and let it sit on paper towels to drain some fat. In the same skillet, using half the bacon grease, begin to brown your meats, both the sausage and beef. Add garlic and stir in to incorporate. Using the red wine, deglaze the pan. Chop it up, and return the bacon to the mix. Add crushed tomatoes and your favorite spices, such as onion powder, parsley, Italian seasoning, dried basil, etc. to produce a delicious red meat sauce. Set aside. 2. In a mixing bowl, whisk ricotta, provolone, eggs, salt and pepper to taste, and the Italian dressing (nice touch!) until smooth. Set aside. 3. 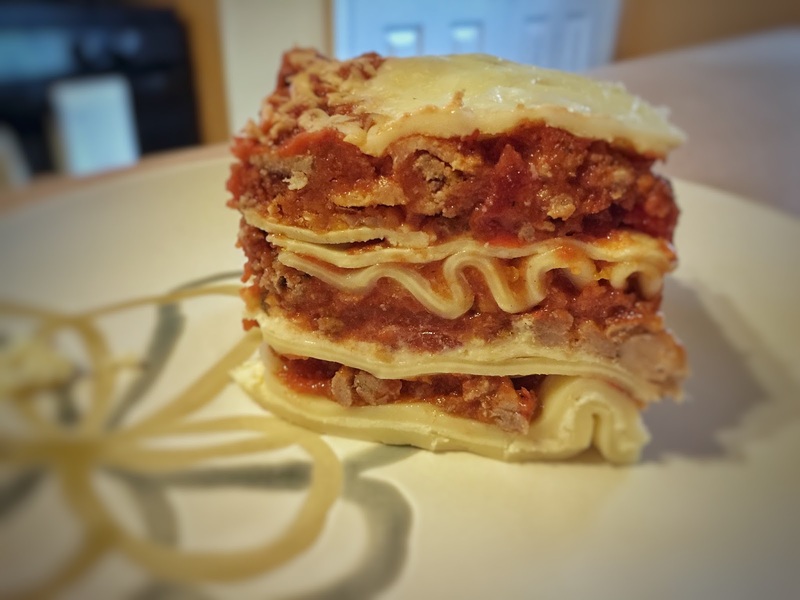 So - when it comes to lasagna, some people simply use the uncooked pasta noodles and build their tower of deliciousness. I like to cook my lasagna noodles a little bit before using them, just to ensure they're not crunchy after cooking. You don't have to do this, but I really hate those crunchy bits of pasta that don't get coated and end up all hard and crusty. 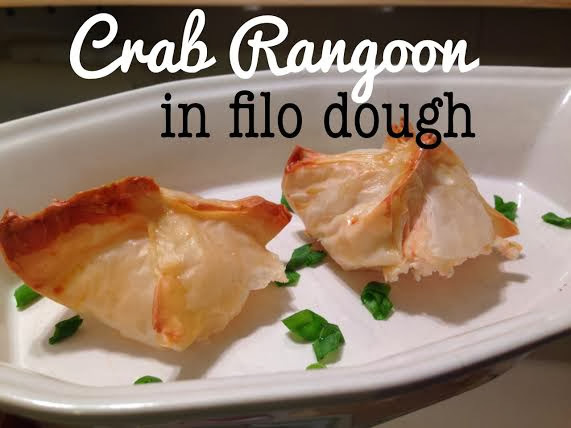 Just be sure to cook them until just pliable, about 5 minutes LESS than the directions on the box. 3-4 minutes total should be good. 4. Now, it's time to build. Using a 9"x13" greased baking dish, start with a thin layer of meat sauce. Then pasta noodles. Then ladle on some ricotta mixture, spreading it nicely to cover the noodles. Throw some more meat sauce on there. Maybe another layer of noodles. Then some more ricotta, and then cover with half the provolone cheese slices. Keep building and building - make sure you use all the ricotta mixture, because that's got the eggs in it, and that's what keeps it nice and tall when you cut it. When you run out of noodles, or room in your dish, finish with meat sauce covering all the noodles, and then the provolone slices. Cover with a sheet of parchment paper and then aluminum foil. The parchment should ensure the cheese doesn't stick. 5. Cook for a total of one hour; 45 minutes covered, then 15 minutes uncovered, in a 375-degree oven until the sauce bubbles, the cheese browns, and the noodles are soft all the way through. Now, for the important part -- you must let this beauty rest. Tent it with your foil and let it sit on the counter (and pick at the bits of cheese, if you must) for at least 15-20 minutes. Lasagna retains TONS of heat, so it won't get cold, but it will allow for the ricotta mixture to set-up properly, making sure everything doesn't run out everywhere after you cut it. That would be seriously sad after all the work you put in! ENJOY!